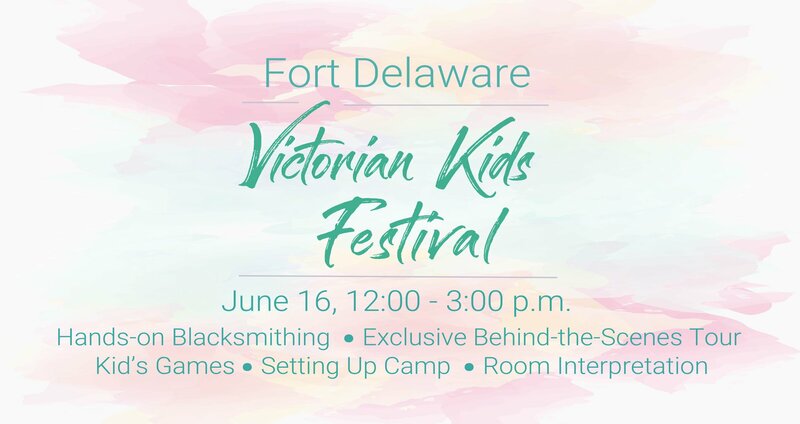 DELAWARE CITY – DNREC’s Fort Delaware State Park will host its annual Victorian Kids Fest from noon-3 p.m., Saturday, June 16. This special event is a collaborative program offered by the Fort Delaware Society and Fort Delaware State Park. The day will feature Victorian kids’ games as well as costumes to try on, face-painting, and opportunities to win prizes. In addition, kids will have the chance to “join the Army” and learn to march like Civil War soldiers. Participation in Victorian Kids Fest events is free with park entrance fee. Fort Delaware is open 10 a.m. to 4:30 p.m. Wednesdays through Sundays, with the last ferry to the island leaving at 3 p.m. Park entrance fee, including the ferry trip, is $12 for adults, $7 for children, and $11 for people 62 and older, and those who have served or are serving in the military.